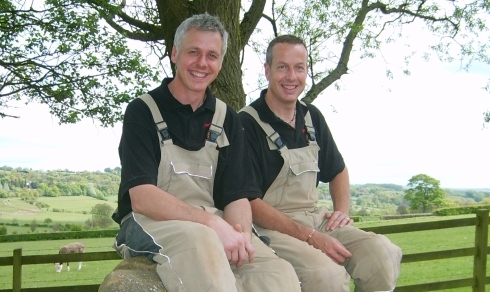 We are David Hollins and Andrew Rogers, and together we operate as Heritage Walling, specialists in the traditional craft of dry stone walling. Put simply, dry stone walling is our expertise - it's what we know and what we do all year round! Operating primarily across Staffordshire, Derbyshire, Cheshire and Shropshire, we have extensive experience of projects of all types and sizes, and using our specialist knowledge and skills build all types and styles of dry stone walls and features. Over the years, Heritage Walling has developed a long list of very happy customers including hall owners, farmers, garden designers and private home owners. Also included in our long list of customers are The Peak District National Park Authority and The National Trust. We take great pride in the fact that the majority of our customers come to us through recommendation and not advertising. 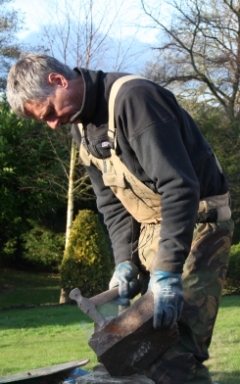 We are Professional Members of the Dry Stone Walling Association of Great Britain, the only organisation in the UK dedicated to maintaining the traditional craft of dry stone walling. Our membership of this organisation reflects the importance we place on working to the highest standards at all times. 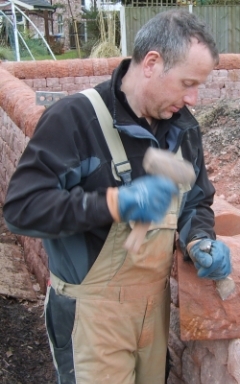 We also undertake work further afield which we consider on a project by project basis, and from time to time we are able to involve other dry stone wallers if a project requires it. In simple terms, we can manage all types of dry stone walling projects. Some examples of our completed projects are shown in the gallery section of this website. This is only a very small selection to demonstrate the different ways in which dry stone walls and features can be built. Enjoy the gallery and do contact us if you would like to talk to us about your own project.